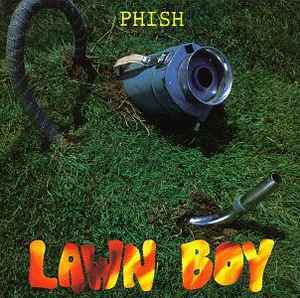 Does anyone know if you can tell the difference between a 2nd pressing RSD release (http://www.discogs.com/Phish-Lawn-Boy/release/7483983) and the latest reissue (http://www.discogs.com/Phish-Lawn-Boy/release/7485396)? Both have the same copyrights/barcode. No sticker on the front or foil stamp on the back. Yes - 4th side is etched (a spiral). 4th side still etched on this pressing? 5 copies, and yet 6 people own it...? Somebody's a liar! Fun fact: apparently there were "golden tickets" inside five of the 7500 RSD Lawn Boy albums, each redeemable for one of five signed test pressings. Found this in a $1 bin (albeit with it has a punch hole) at a Streetlight Records...once I sell it will basically cover most of my music purchases for a little while!